Today I am here with Tomato Basil Soup Recipe. 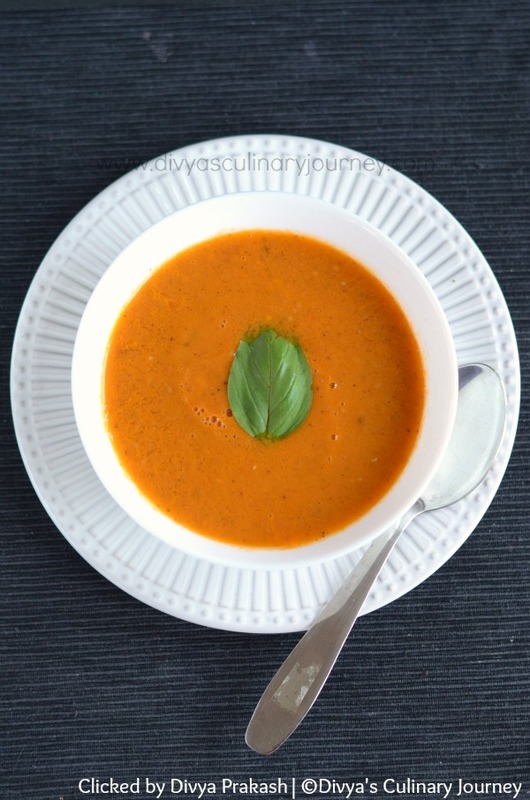 This is a very simple and flavorful soup made with fresh tomatoes. I have not added any flour or cream to this soup and also have not added any vegetable stock. This vegan soup is so light and refreshing. 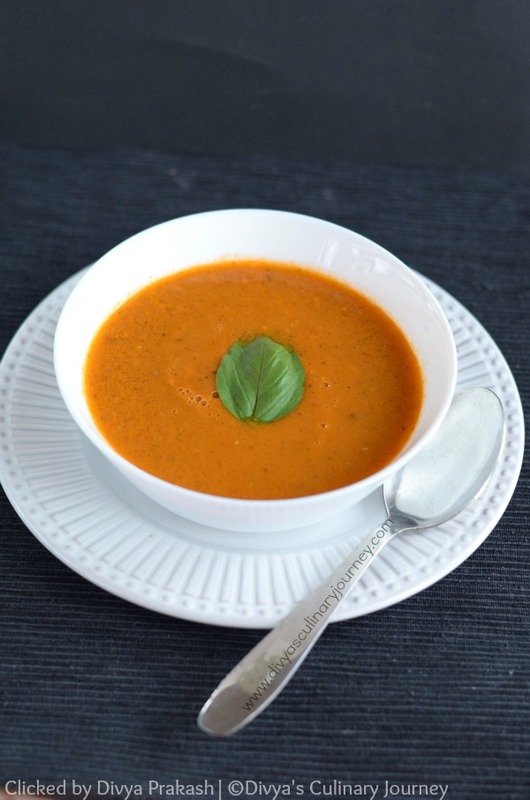 Light and Refreshing Tomato Basil soup made with fresh tomatoes with no flour, no cream and no vegetable stock added. It is a vegan soup. Heat oil in a heavy bottomed pan and add cumin seeds and bay leaves and fry for about a minute. Then add chopped onions and fry till they are translucent. Then add chopped tomatoes and cook till they are soft. Then add dried basil leaves and cook for another minute. Add 1 cup of water, mix well and let it simmer in low heat for about 15 minutes. Turn off the heat. 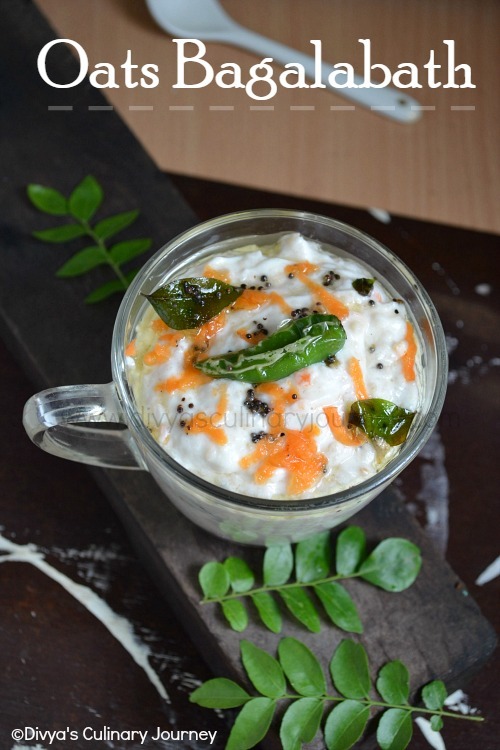 Let the mixture cool, remove the bay leaf and then puree it in blender. Return it to the pan and turn on the heat till it is warm as required. Season with salt and pepper and serve. Taste of the soup totally depends on the tomatoes used. I have used tomatoes on the vine. If you have fresh basil available, you can replace about 1/2 tablespoon of chopped fresh basil for 1/2 teaspoon of dried basil. If you like the soup smooth, you can run it through a strainer if you want. If you prefer you can add vegetable stock, instead of water. But I preferred adding water. Beautiful looking soup. Love the light you got on it for your photo. wow. I wish I had some here. What a gorgeous looking soup - look at that colour! Wow! That color makes this soup look very appetizing indeed! Comfort food in a bowl for the wintry days to come! I love the fact that you didn't add cream in this and yet is so creamy! A very healthy and hearty soup and so easy to make. Beautiful healthy soup...so creamy looking. 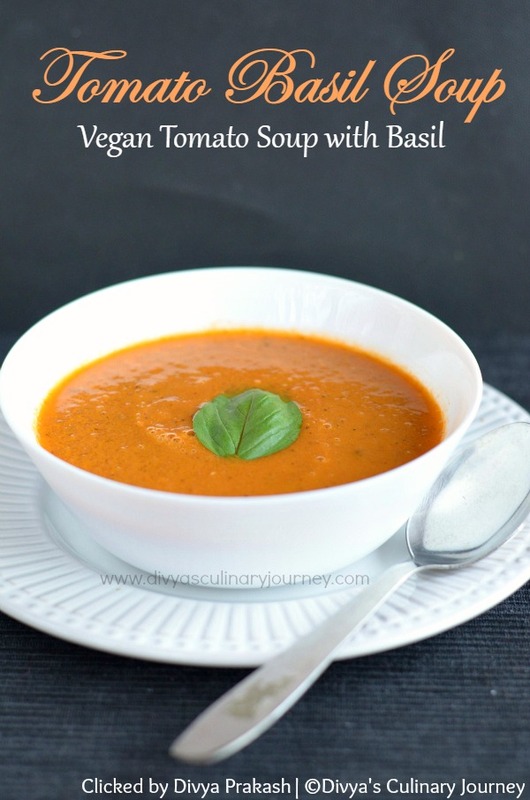 Tomato and basil combo in a soup sounds interesting. Delicious comforting soup. It looks so creamy and healthy!